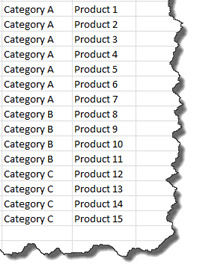 A frequent requirement is to display data hierarchically, such as products by category. This article shows how to use LINQ to Objects and the jQuery Accordion to display the result of a database query in such a fashion within Razor Web Pages. 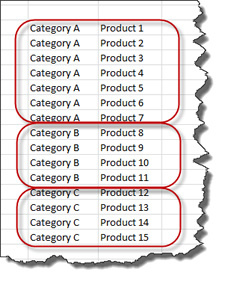 This purpose of this article was to illustrate how to use the LINQ GroupBy operator to prepare data in such a way that displaying it on a Razor Web Page hierarchically is simple and efficient. 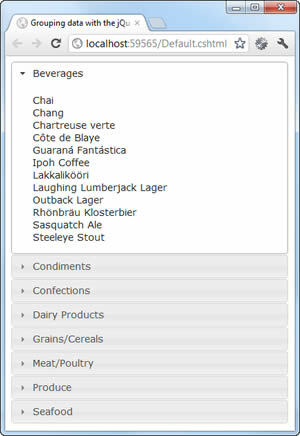 Finally, the jQuery Accordion was used to apply some user friendly features to the resulting data.